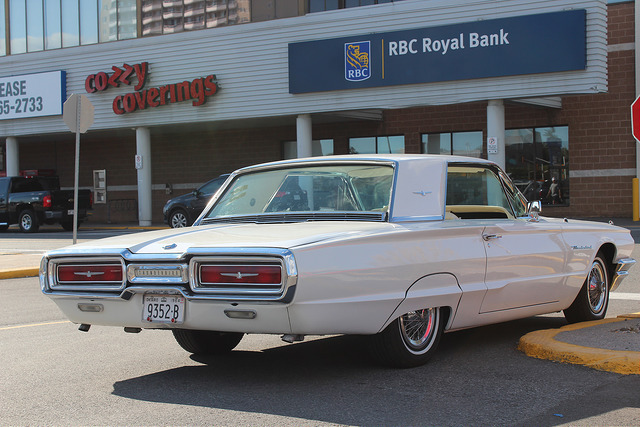 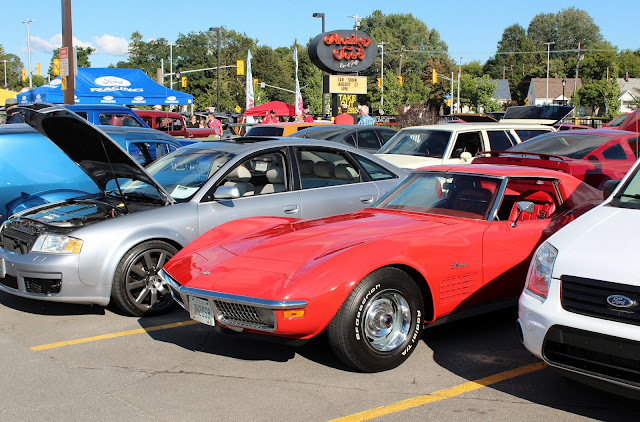 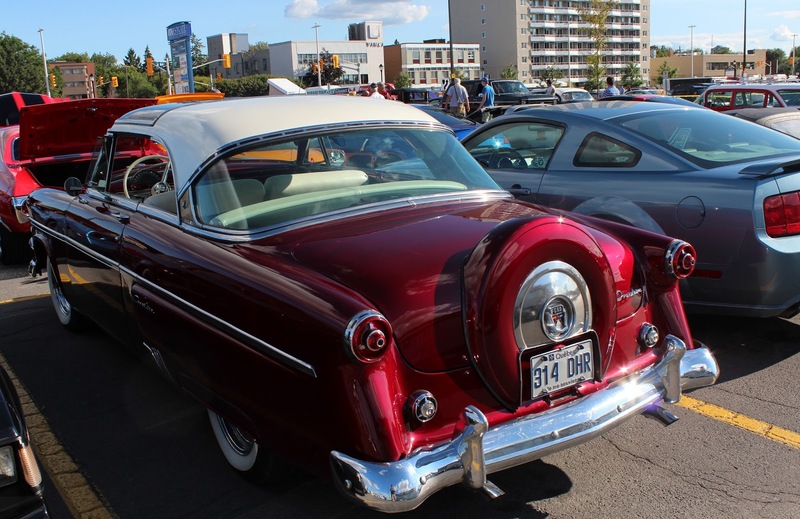 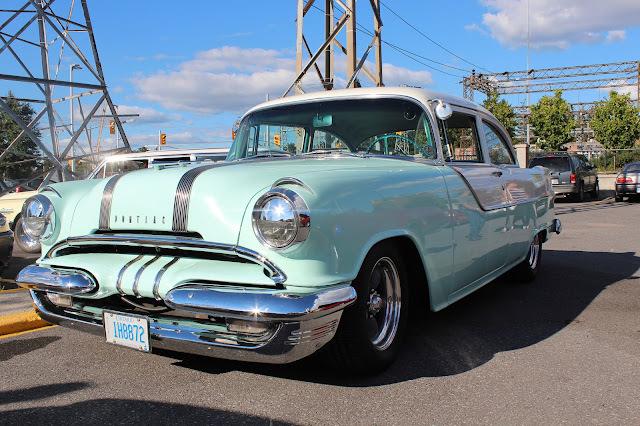 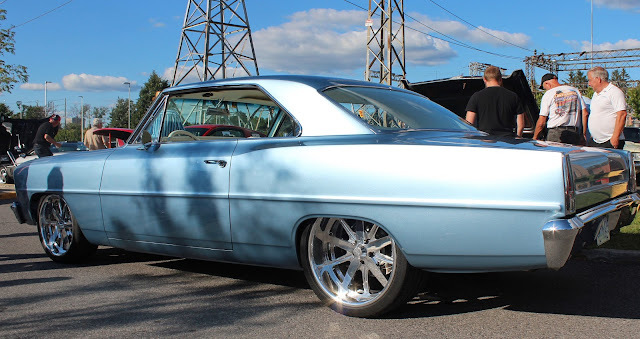 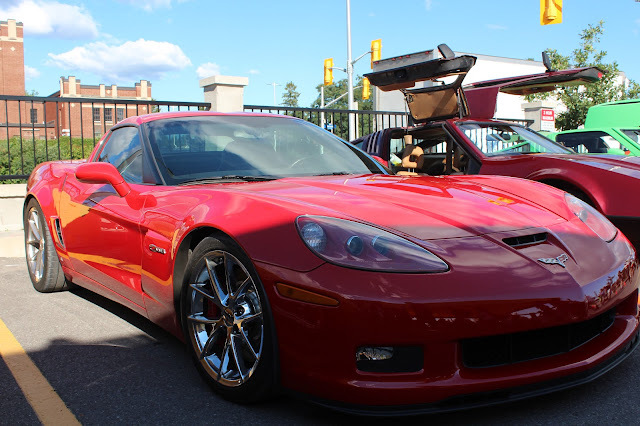 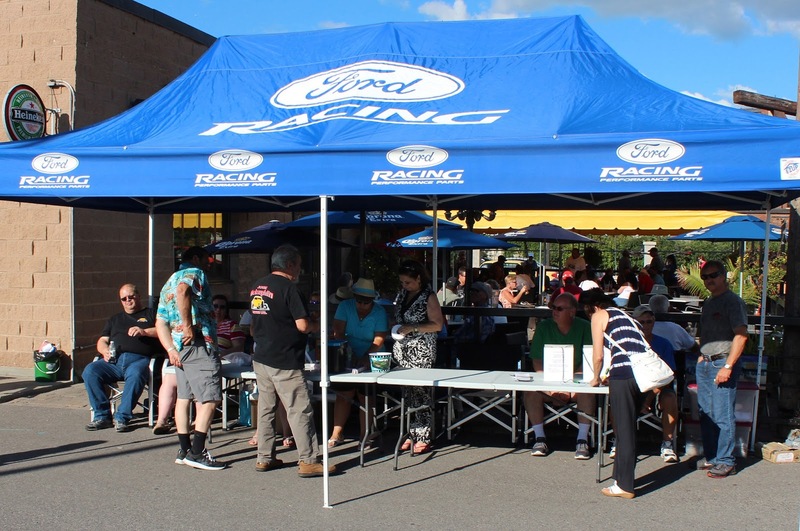 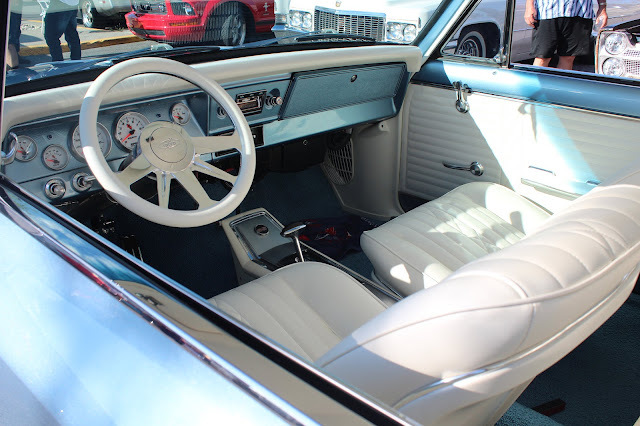 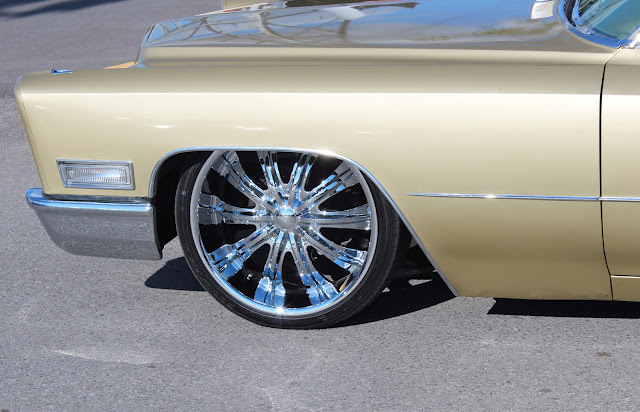 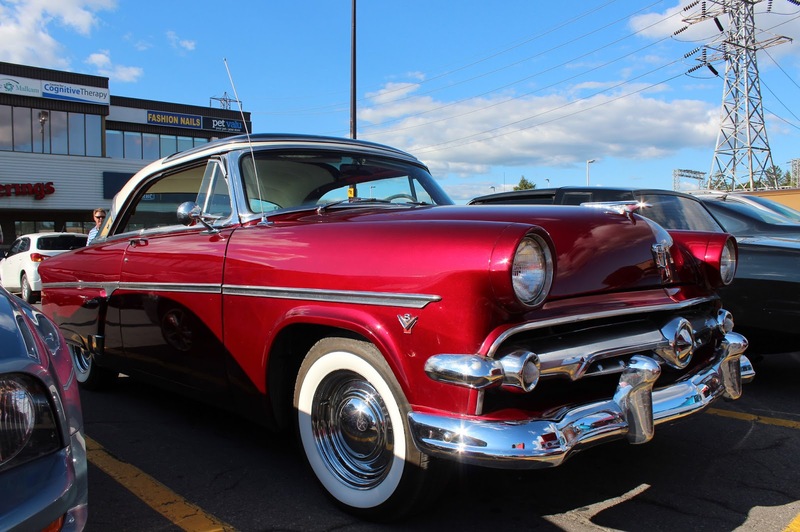 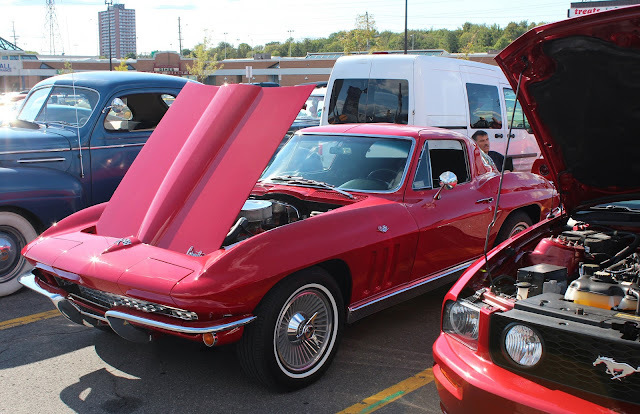 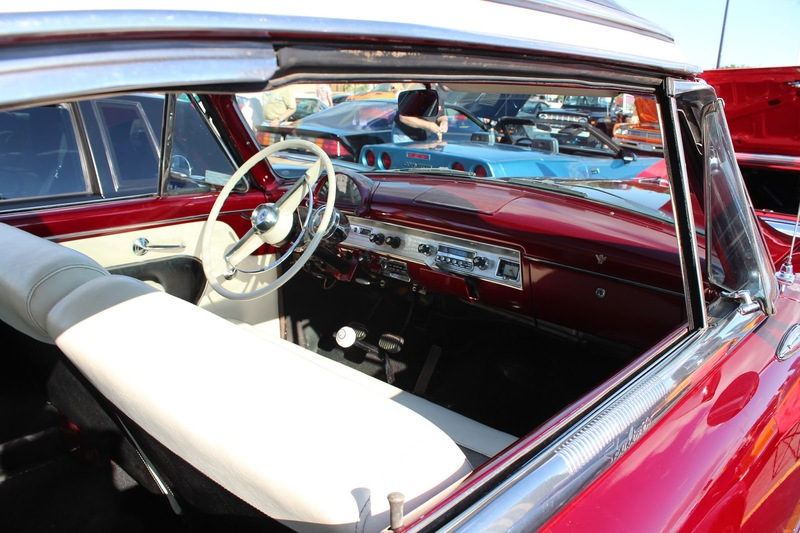 A very common car event is a restaurant or other business offering to host a car show to attract customers and there are regular ones at Monkey Joe's, a bar and grill at the Westgate Mall in Ottawa. 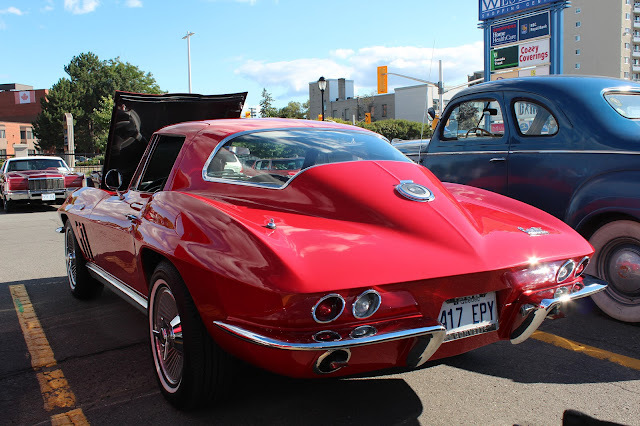 I thought it was worth stopping in for an afternoon look-see and was rewarded with a dash plaque--an ugly aluminum-backed sign I would never consider sticking on my dashboard but of which I have a rapidly growing collection--plus discounted food and drink but I was there to look at the cars. 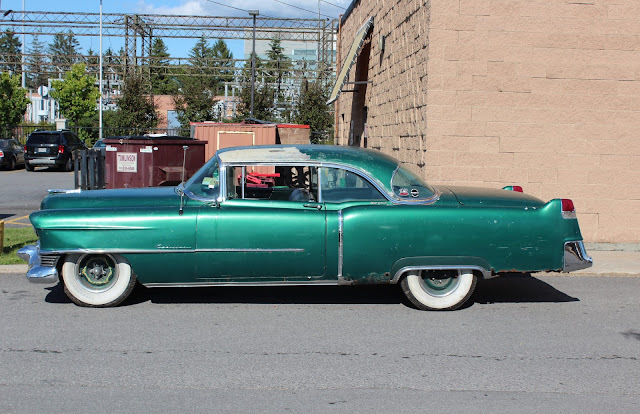 Clearly Monkey Joe's is the place to bring your ancient Cadillac, as well as spiffed up 1950s rides. 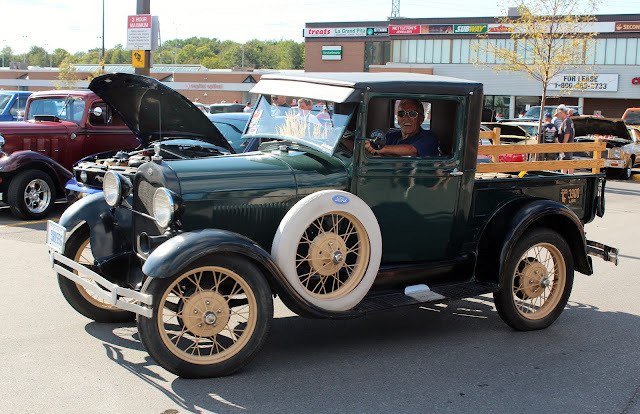 I was standing at a spot where I could make myself useful as the driver of a wonderful Ford Model A pickup truck was trying to back in since he really needed some directions. 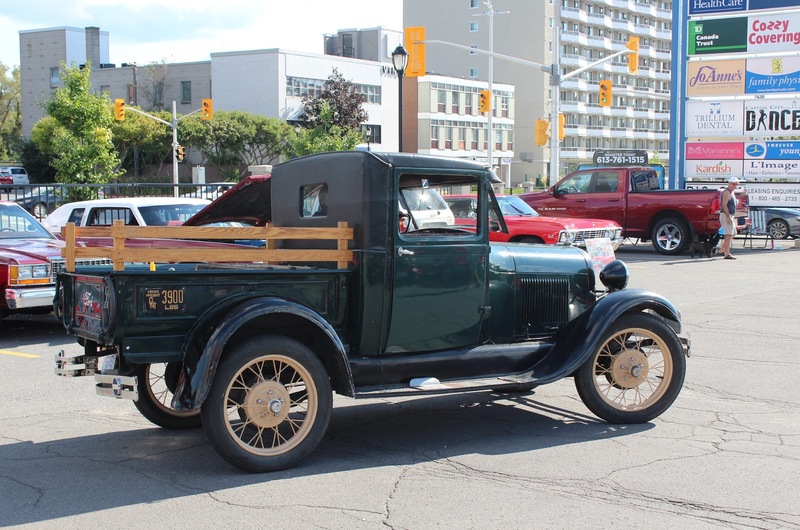 The driver was very proud of his charming truck, which was not immaculate but looked to be in good shape, and we talked about the need for double-clutching, something I have yet to master. But it would be worth learning if you had a truck like his. 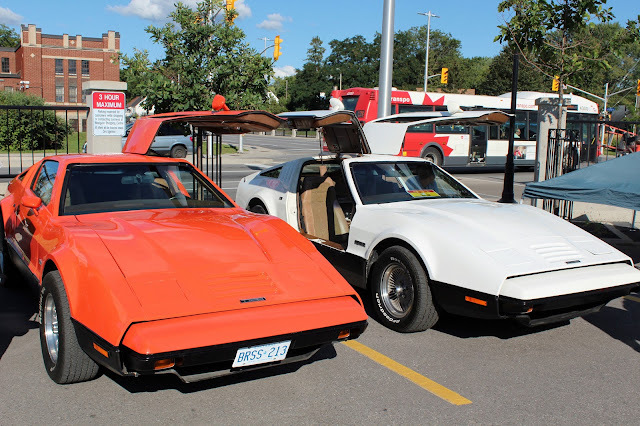 The highlight of the day had to be the two collections of gull wing door cars. 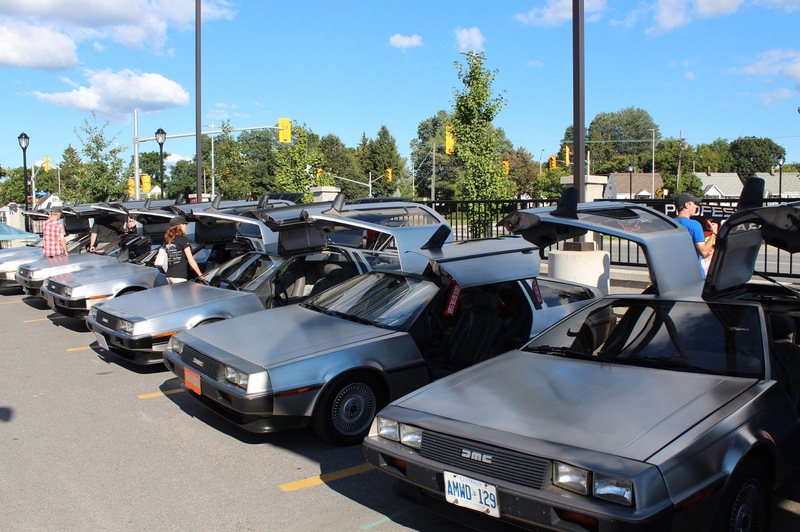 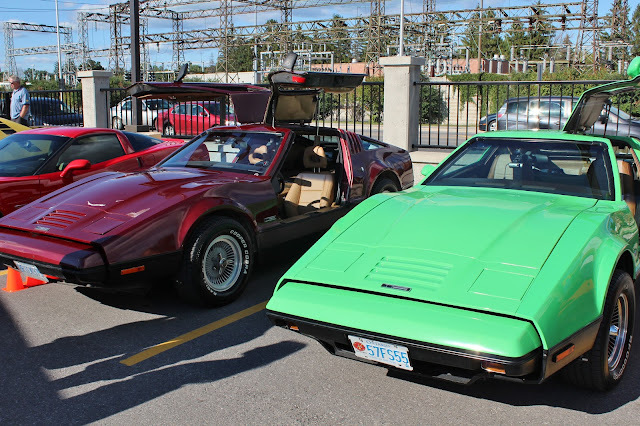 The DeLorean Club was present in sizeable numbers and there was a small group of Bricklin SV-1s. I have never understood the attraction of the DeLorean DMC-12 except for its link to the "Back to the Future" movies. 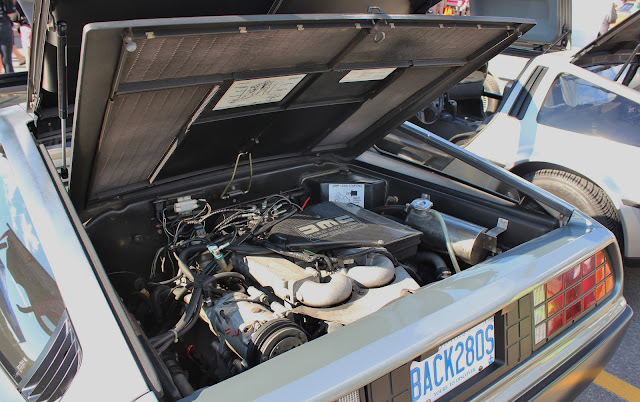 The car is not very attractive, looking like an appliance with its stainless steel outer shell, and was grievously underpowered with its sad little 130 hp Peugeot -Renault-Volvo engine. The less said about the business itself the better. 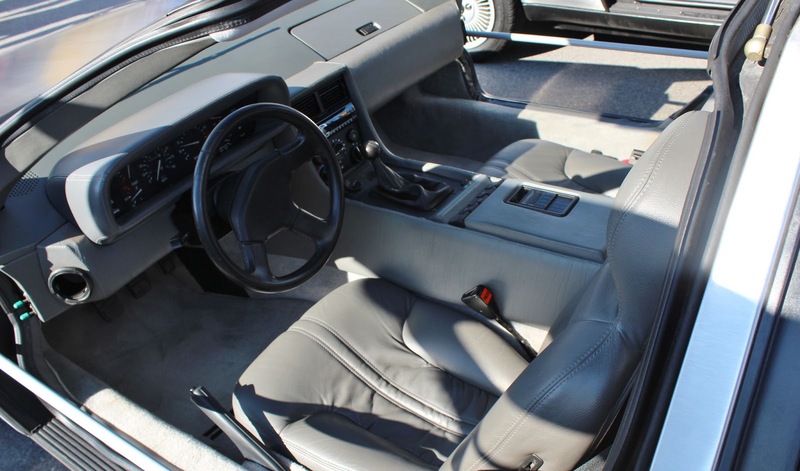 In the end,, 9,200 cars were produced from 1981 to 1983. A company in Texas bought all the parts from the bankruptcy and actually will build you a new one today. The Bricklin SV-1 was the brainchild of Malcolm Bricklin, a serial entrepreneur with a dubious track record, and was built in New Brunswick due to government investment from 1974-1976. 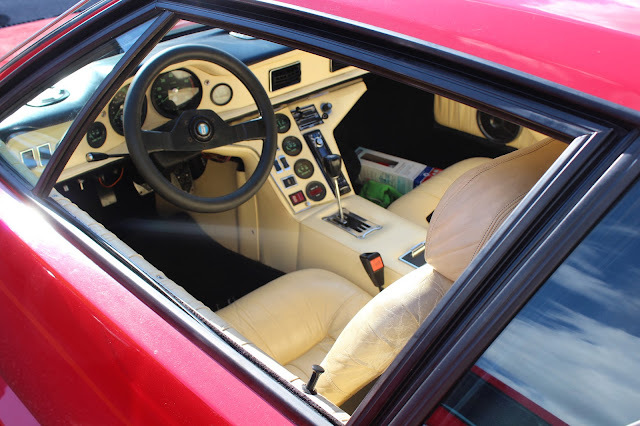 It is noted for its gullwing doors, operated by push button unlike the manual DeLorean doors, and horrific build quality. 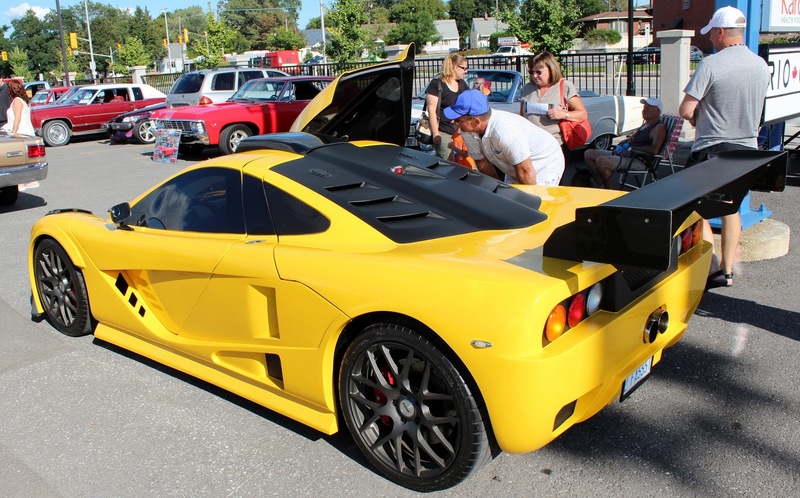 Less than 3,000 were produced before the company failed. It used an AMC motor in its first iteration, switching to the Ford Windsor 351 V8 near the end. 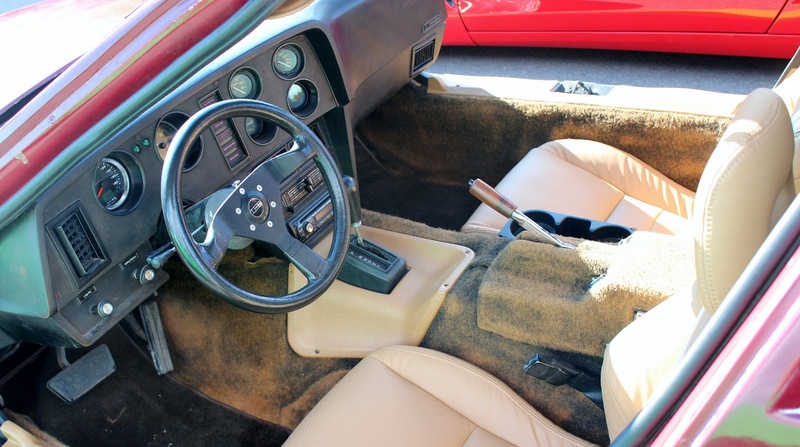 A far more attractive proposition was the kit car which appeared to be modeled on a McLaren F1 and also featured weird doors. It looked pretty fast and was put together quite well. The owner was offering it up for sale but I saw no price listed. 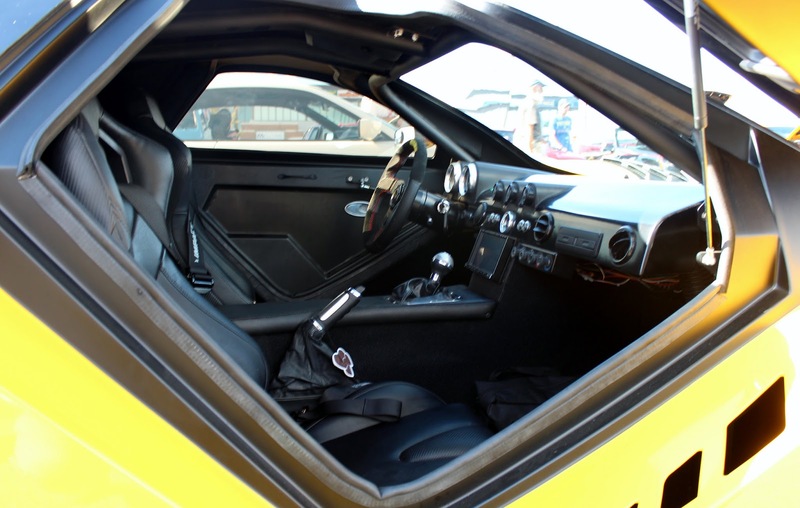 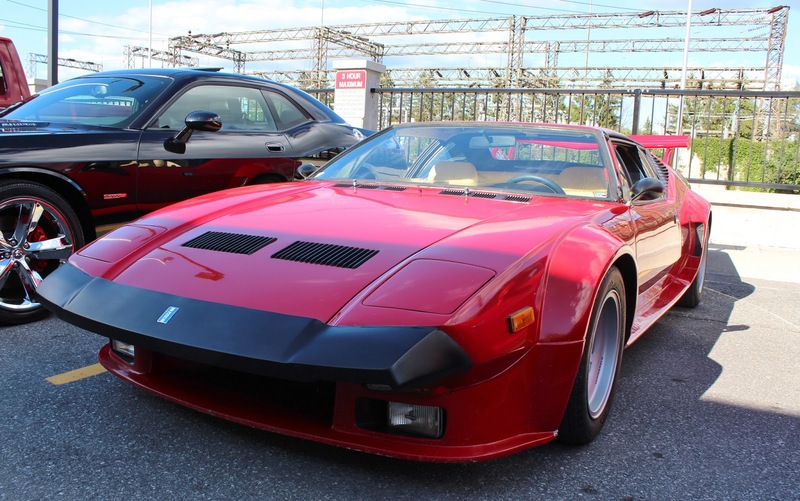 Another car I did not expect to see was a very nice Pantera GTS,, with its Ford power and an enormous wing. Once sold through Lincoln-Mercury dealerships (I cannot imagine how that would have worked out), the Pantera was also noted for terrible build quality but soldiered on for many years after the direct connection with Ford ended. 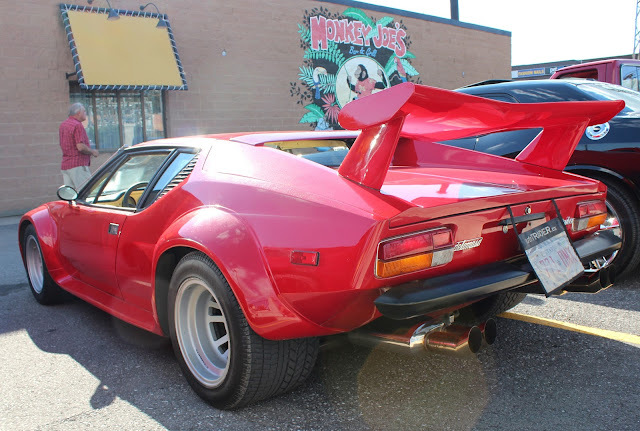 Today these Italian-American hybrids are getting much more respect and prices for them are climbing since by now all their problems will have been worked out. 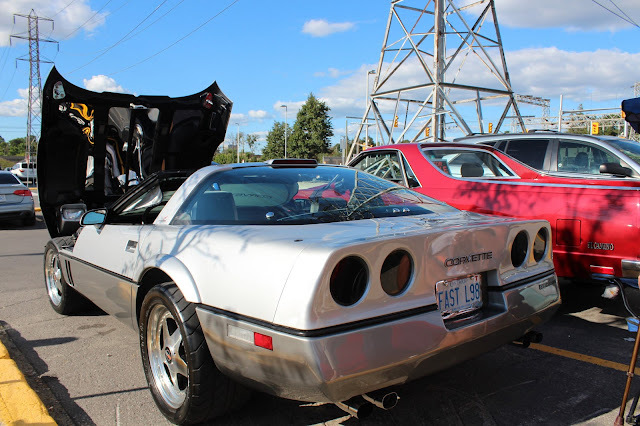 And for a change there were not a whole lot of Corvettes but a C2, C3, C4, and two C6s (mine and a red Z06) represented the marque.